It was the only choice to make, to allow Elsa release from her pain. So much so, that choice isn't even the right word to use. Yet that’s exactly what he had to do. Give the OK, as it were. For Elsa, the blunt force trauma was too much; the damage to her vulnerable body too great to survive her injuries. So we all grieve this loss of another one of God’s beautiful creatures. It’s been nearly two weeks now. The rawness of it has waned and we’re left with the softened edges of grief. Still, the second guessing and what ifs remain. Derek and Samantha move towards healing. A process made easier by their dog park community who loved Elsa, too. It does help to be in the company of others who understand that your pet is your family. Elsa wasn't just a dog. And so an amazing thing happened. 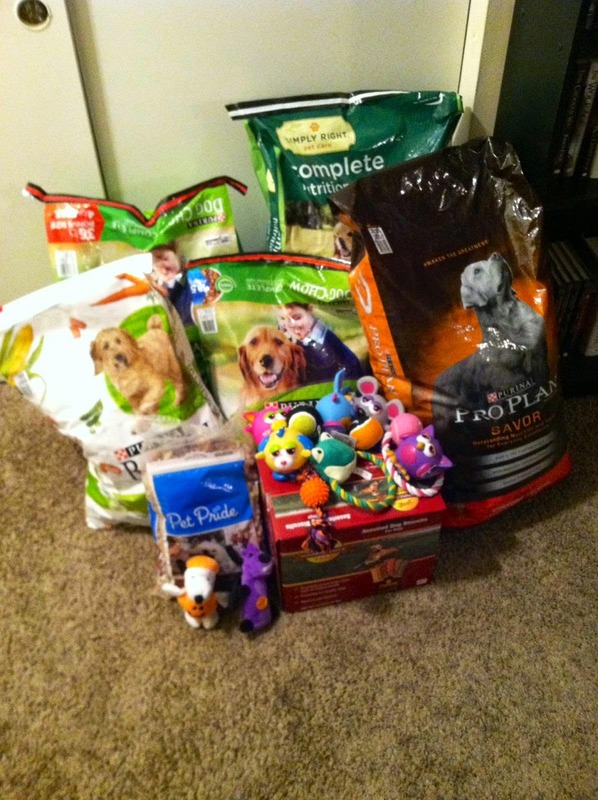 Their dog park friends donated dog food, toys, cash and such things that would help to support a pet shelter. All memorial of the dog that is Elsa. Giving back for a life well-lived, no matter how short it was. My heart is warmed by this generosity. It makes my mommy self so happy that my son can find himself among such people in this world. I don't know these folk. They don't know how much I admire them. And I want to thank them for the healing they have offered to my son. Derek and Sam will donate these gifts to the Kentucky shelter where they had adopted Elsa. That feels right, doesn't it? But you know, as new as this is to my young adult kid (not an oxymoron, that), there are so many of us who have plowed through emotions similar to what he's feeling. Not exactly the same, of course. No one has the same experience as another. How can we? But grief doesn't discriminate. By nature's design, we are destined to outlive our canine companions. It doesn't seem fair and we all struggle for the reason we can't have our furry friends longer than we do. And a sudden loss as with Elsa comes with an extra blow to one's soul. Our pet loving community is a strong one. If you've had to deal with the sudden loss of your pet, especially when faced with the choice of euthanasia, would you take a moment to drop a comment? What helped the healing process for you? 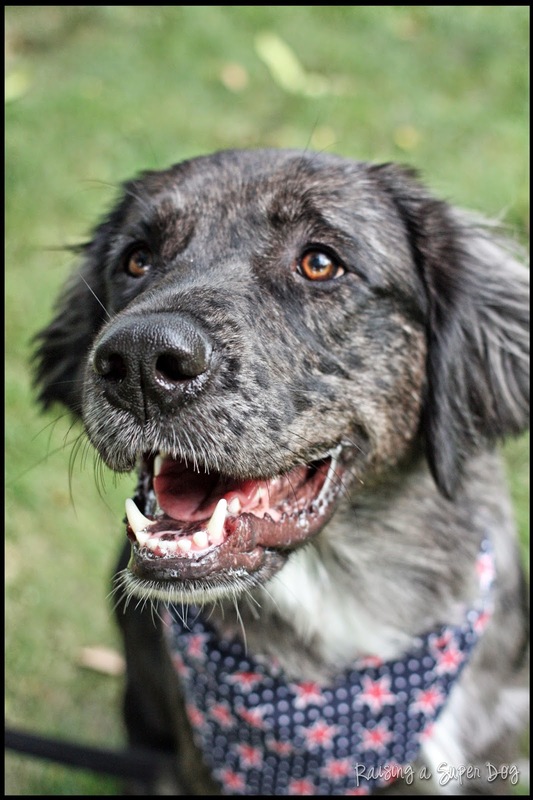 See our previous post Ask Me About my Grand-dog for Elsa's adoption story. I think with each of my pups its been different. When Cisco died, making a memory box for her seemed appropriate. She led a quiet life, and a quiet little memory was all she needed. I haven't found the perfect thing for Sam yet - I'm functioning without him, but I haven't found the way he should be remembered yet. Does that make sense? I think that is what helps me cope - finding a way to make one last memory with my pups. Indeed, that does makes sense. Each life fills the world a different way, so the loss would be unique as well. I love your idea of a memory box. Thanks so much for dropping a note with your thoughts. Hugs back to you two. Thanks for the kinds word, Emily. Give Dash a kiss on the nose for me, please. So sorry for your loss. Elsa looks like a lovely dog who will be missed. We lost our Greyhound, Madeleine suddenly. She was galloping around a corner in the house to greet a neighbor and slipped on the wood floor. Her leg got tangled in a chair and the injury was severe. We rushed her to the vet and the consensus was that because the injury was really bad and because it appeared her cancer was back, the kindest thing would be to release her from the pain, which we did. I'll never forget one of the vet techs coming in to the room to kiss Madeleine goodbye with tears in her eyes, because Madeleine was one of her favorites. Such kindness in the midst of sorrow. John wrote a lovely eulogy for her and that helped, and having friends come by to give us hugs also helped. And then a few months later we adopted Meryl, because opening our hearts to another dog (or cat) is the way we honor those who came before. Thanks so much for sharing about Madeleine, Marianne.How wonderful to know your beloved furry friend was in so many hearts. I think it's brought comfort to my son that Elsa has touched so many folk in her short time. I love your last sentence. That's exactly it, isn't it? We are so sorry to hear about your loss. We have yet had to deal with this but it is something I think of ofter. Especially having children and wondering how they will deal with the loss of their first pet. Thanks you guys. If you're like me, you always have a pet or three in your family. Watching your little folk deal with the loss is hard, but you plow through it. It helped my son, I think, that he'd experienced the death of a family pet before. He knows there's another side of grief that become the good memories. Thanks so much, Talent Hounds. Thanks for the link on dealing with grief. I'll forward this to my son. I am so sorry. Losing a dog is so awful, and there's a certain kind of hurt when it's unexpected. My heart goes out to you. Hi Kari, thank you for your kind words. It wasn't sudden in the same way. Matilda had been ill, but in remission. Suddenly her humerous snapped, and she had osteosarcoma at age 14. We bid her adieu. I found this quotation: "Swift as the wind they fly, they come, they go, they melt away..." All sympathy to you and your child. That's really lovely. I hadn't heard that quote before, but it really fits for the short time we have our fuzzy family members. Thanks for dropping a note, Terry. Im so sorry to hear about your loss. It's one of the toughest things I've gone through - sending hugs to your family.